Time to get tough with rotations? Ian Boxall says it’s time for producers and the canola industry to do something about clubroot. “Clubroot could be the biggest thing to happen in Saskatchewan. Loss of an industry? I don’t know what the word is,” said Boxall, who farms near Tisdale, Sask. Clubroot, a soil borne disease, is not just a threat to Saskatchewan. It has been a problem in Alberta for about 15 years and is now established across the Prairies. It’s been found in Saskatchewan and symptoms of the disease have been detected in southern Manitoba and the Swan River Valley. Clubroot causes swellings, or galls, to form on the roots of infected canola, which can cause the premature death of the plant. The disease spreads when equipment from an infected field transports soil to another field. Other vectors, like wind and water erosion, livestock and footwear, can also move the pathogen. Growing canola several years in a row on the same field, or every other year, increases the amount of clubroot spores in the soil. 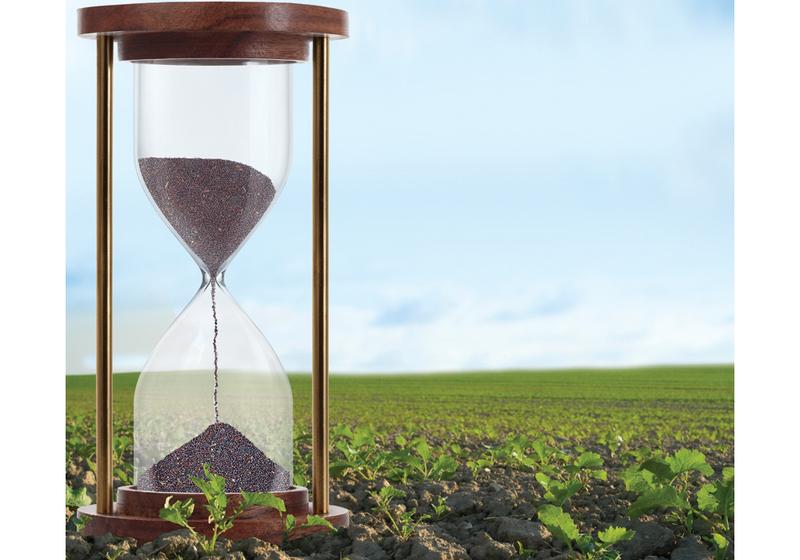 Under a worst-case scenario where clubroot becomes endemic in Alberta, Saskatchewan and Manitoba, it’s possible that growers will suffer persistent yield losses. Or it might become impossible to grow canola in certain fields across the Prairies. Lower yields and production declines could have massive implications for Western Canada because canola is worth nearly $30 billion annually to the national economy. “(What) if we lose 20 percent yield in canola because of clubroot?” Boxall asked. Once in a field it’s basically impossible to eradicate because the spores can survive for two decades. Because a two-year break would slow the spread of the disease and limit its long-term impact, The Western Producer spoke to growers, scientists and other players in the canola sector and asked the same question: What do you think of a mandatory three-year crop rotation in Western Canada? Since 2001, Prince Edward Island has required its farmers to follow a three-year crop rotation. P.E.I. has about 90,000 acres of potatoes and the province passed the regulation to protect the province’s rivers and waterways from soil erosion. Growers who violate the rule face penalties of up to $50,000. Nearly two decades later, most P.E.I. farmers now support the crop rotation rule because a longer break between potatoes is more sustainable. The Island has only 575,000 acres of cropland, compared to 65 to 70 million on the Prairies, but is something similar needed in Western Canada to control diseases like clubroot and blackleg? Boxall didn’t directly answer the question, but it’s clear to him that educating farmers about crop rotation and disease risk is useless. Among those tools are canola varieties with genetic resistance to clubroot. They have a limited shelf life because the disease evolves and the genetic resistance may not protect the crop from new strains of clubroot. Many in the canola sector, including reps of major companies, are worried that farmers are too dependent on genetic resistance and there may soon be a day of reckoning. “There’s a time now where if we don’t get together and really focus on some of the basics of agronomy, I don’t know if we have canola to be able to be there,” Garth Hodges, Bayer CropScience vice-president of marketing and business development, said in 2017. The Saskatchewan Association of Rural Municipalities has listened to such warnings and is taking action. Ray Orb, SARM president, believes it’s necessary. Boxall didn’t mention the SARM resolution, but he does think that subsidizing bad behaviour through crop insurance is absurd. Brett Halstead, who farms near Nokomis, Sask., isn’t convinced that crop insurance is the answer. Some producers don’t use crop insurance so the SARM measure wouldn’t change their behaviour. “Only about two-thirds of farmers carry crop insurance,” he said. On his farm, Halstead tries to follow best practices and is disappointed when his neighbours do not. But forcing them to change is not the right approach. Simon Ellis has a similar stance. Ellis, who farms near Wawanesa, Man., tries to follow a four- or five-year crop rotation. In previous years, he has seeded canola into canola stubble because conditions were extremely wet and it was the only thing he could do. Ellis opposes regulations for crop rotation but there may be situations where the government should intervene — maybe when soil is uncovered and blowing around during the fall and winter. “I wonder if there should be limits on destruction of soil and soil erosion,” he said. Orb believes the government should intervene when it comes to canola rotations because the status quo isn’t sustainable. The canola council, the province and others have educated producers about proper crop rotations for years. Rejecting crop insurance coverage for back-to-back canola is a start and may encourage more producers to adopt a three-year rotation, Orb added. In 2017, canola acres hit a peak of 22.9 million, representing almost a third of cropland in Western Canada. Several producers and a canola council agronomist said a mandatory three-year rotation might be devastating for growers because they lack alternative crops to canola and wheat. Plus, if their third crop was barley, oats or flax, the additional production could flood the market and hurt prices. Many Manitoba farmers now include soybeans as the third crop in their rotation and there’s little risk of saturating the global market for soybeans. Some Saskatchewan farmers were hoping to copy the Manitoba model. In 2017 and 2018, the experiment didn’t work out as planned. Lacking a viable, money-making crop, the standard argument is that farmers must grow canola in a tight rotation to remain profitable. Science doesn’t support the standard argument. Research shows longer rotations are equally profitable. The conclusion is based on research by Neil Harker, former Agriculture Canada scientist in Lacombe, Alta., who found that canola-canola-canola doesn’t improve net returns and is more risky. But many growers aren’t listening to Harker’s message, said Bruce Gossen, Ag Canada research scientist in Saskatoon. As for flooding the market, if three million acres of canola shifted into flax it would certainly push prices lower. If three million acres of canola were distributed into five or six other crops, such as oats, forage crops, barley, peas, soybeans and fababeans, the impact on price might be less. On his farm, Boxall grows wheat, oats, peas and canola. Peas don’t always work in his part of Saskatchewan because of moisture and disease issues. Still, he’s sticking with a two-year break between canola crops and hopes to get to a three-year break. To him, this is all about best practices. If the canola council and provincial government say a three-year rotation is best practice, growers should follow that standard.